Since 12:01 AM today the University of Michigan has been smoke-free. A massive intrusion into personal freedom? Protection from the tyranny of secondhand smoke? 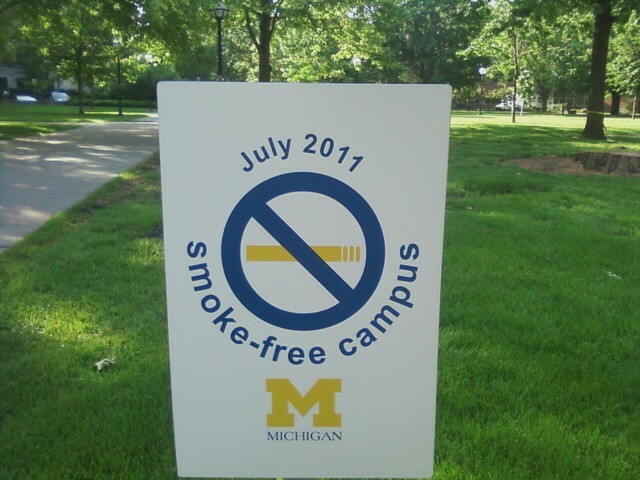 A ploy to reduce health care costs for the U by getting employees who smoke to quit? All of the above? Time will tell.